Background/Purpose: To validate parameters of dynamic contrast-enhanced magnetic resonance imaging (DCE-MRI) in an early rheumatoid arthritis (RA) clinical trial by comparison with clinical parameters of disease activity, and by investigating the sensitivity to change during a 2-year-follow-up. 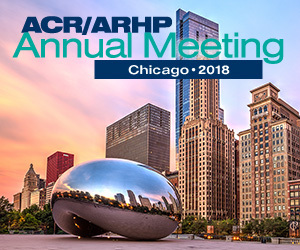 Methods: 14 early RA patients diagnosed according to the ACR1987 criteria within 6 months of inclusion and with a DAS28 ≥3.2 (9/5 women/men, median aged 37 [range 27–69] years, disease duration 82 [42–129] days) were randomized 1:1 to treatment with methotrexate (MTX) and adalimumab or MTX and placebo. Any swollen joints were injected with triamcinolone (max 4 joints/4 ml per visit) in a 2-year-follow-up. If continuous disease activity was present, treatment was intensified. Conventional MRI and DCE-MRI of the right wrist were performed at baseline, and after 6, 12 and 24 months using a 0.6 Tesla MRI-unit. A 3-slice dynamic sequence was obtained at the time of injection of the contrast agent (Gadoteric acid 0.2 mL/kg). DCE-MRI parameters: TR 33ms, TE 4.2ms, flip angle 25°, FOV 200 mm2, matrix 108×192, slice thickness 3 mm. On DCE-MR images, the wrist were manually delineated using the image software Dynamika version 4.6.0 (Image analysis Ltd., Leeds, UK, www.imageanalysis.org) and for these regions of interest (ROI) the number of enhancing voxels (Nvoxel), the initial rate of enhancement (IRE), the maximum enhancement (ME), the IRE×Nvoxel and ME×Nvoxel were extracted by the software and compared to clinical parameters of disease activity. Table 1. Clinical and MRI data at baseline and at follow-up visits. Values are presented as medians (minimum–maximum). VAS: visual analog scale. Change from baseline: Wilcoxon Signed Ranks Test, *: p<0.05, **: p<0.01, ***: p<0.005, NS: not significant. All clinical parameters decreased during follow-up, while there were no statistically significant changes for the DCE-MRI parameters, which may reflect lack of power. Furthermore, it should be emphasized that only 3 of the examined wrist joints were clinically affected at baseline. Conclusion: DCE-MRI is a promising outcome measure in clinical trials, but MRI at baseline must include clinically involved joints.